high-quality t-shirt featuring the Fantastic Four's very own The Thing. Fantastic Four The Thing Circle Portrait T-Shirt. 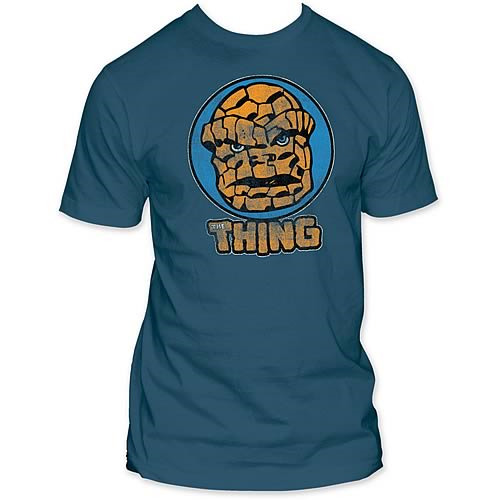 A distressed The Thing image on a 100% pre-shrunk cotton, short sleeve men's fitted jersey blue t-shirt. Machine washable. Order yours today!